StarLadder & i-League StarSeries Season 4 is a premier Counter-Strike: Global Offensive (CS:GO) tournament scheduled to take place in Kiev, at the Kiev Cybersport Arena, between February 17-25. The event is organized by StarLadder and ImbaTV, brings together 16 of the world’s best teams and has a prize pool of $300,000. 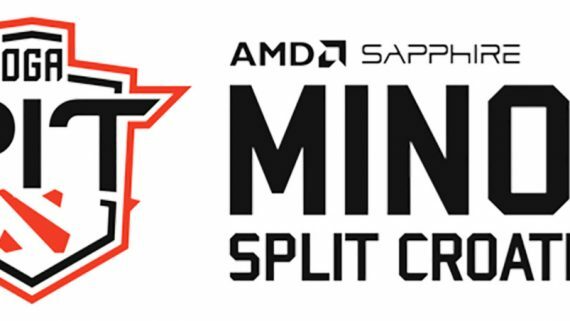 With so many participants and matches, this is the kind of esports event that’s sure to offer plenty of excellent betting opportunities. Europe: Fnatic, G2 Esports, mousesports, Heroic, Natus Vincere, Gambit Esports, Virtus.pro, HellRaisers, Astralis, FaZe Clan. North America: Cloud9, Renegades, Team Liquid. The competition will be played in a Swiss system format followed by single elimination bracket Playoffs. All matches will be Bo3. Both of these teams are on an upward trend and hungry to win again, after a pretty disappointing performance at the ELEAGUE Major. Following this event, Astralis replaced Kjaerbye with Magisk while Team Liquid replaced jdm64 with NAF. The impact of these transfers was immediate in both cases. Team Liquid recently won the cs_summit 2 tournament, defeating SK Gaming and Cloud9 in the process, while Astralis won 5 out of their last 6 matches in the ESL Pro League Season 7 (Europe). Some of these victories came against two of the world’s best teams, namely FaZe Clan and mousesports. In light of recent results, Team Liquid is slightly favored to win this match even though the odds are perfectly equal. Bovada puts these odds at -120/-120 or around 1.83 – 1.83. Cloud9 won the ELEAGUE Major and finished second at the recent cs_summit 2 tournament, losing just to Team Liquid at a close score (2 – 3) in the Grand Final. Along the way, they also defeated Heroic in that tournament (score 2-0) and they’re overall much stronger than them. In a match like this, given the strength difference between these two teams and the likelihood of success for Cloud9 (close to 100%), you’d expect the North American team to have really low betting odds and yield almost no returns. But the fact that Bovada puts the odds at -400/+250 or around 1.25 – 3.50 in their favor makes this the best betting opportunity on this list. FaZe Clan finished in second place at the ELEAGUE Major and is one of the strongest teams in CS:GO. 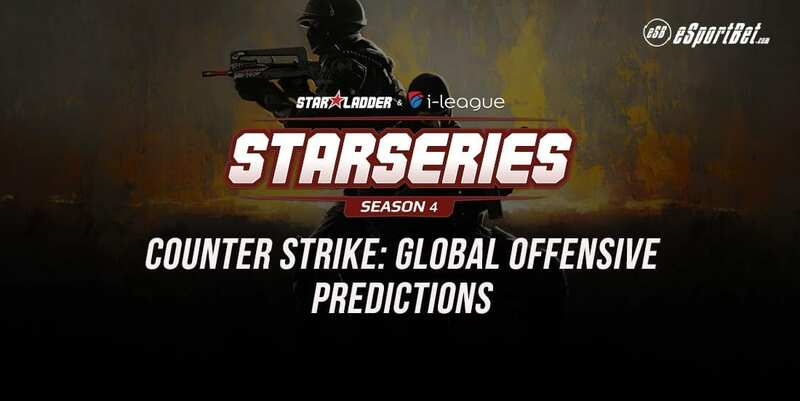 They showed signs of weakness recently, but against top competitors like Natus Vincere and Astralis (they lost 4 Bo1 matches against them in the last few days). However, TyLoo is still a complete outsider to the world of big Counter-Strike, so I don’t see how these losses could possibly point towards a major risk or a significant chance of an upset in this dispute. Bovada puts the odds at -2500/+800 or around 1.04 – 9.00 in the European team’s favor. Following their 5th-8th place finish at the ELEAGUE Major, Fnatic went through some ups and downs, winning 6 matches and losing 4. Their most important victories came against HellRaisers and Ninjas in Pyjamas, while their defeats came against mousesports and the team they had previously defeated, HellRaisers. These results are worrying going into this match against Gambit, and that’s because this team, since their disappointing 9th-11th place finish at the ELEAGUE Major, has had some pretty significant victories: one against mousesports (2 – 1) and one against Natus Vincere (2 – 1). It’s true that they’ve also suffered some incredible defeats against provincial nobodies, but their high ceiling makes them a scary opponent to go against and a perfect team to rely on when it comes to producing upsets. Last time these two teams faced each other it was at the ELEAGUE Major. Fnatic won that dispute quite convincingly, but this match will likely have a completely different result. Bovada puts the odds at -210/+140 or around 1.48 – 2.40 in favor of Fnatic, but the chance of an upset is very high. If you want to bet on this match, you should definitely consider picking Gambit Esports as the winner. G2 Esports is in good shape right now, even though they still struggle against the top teams. Their ELEAGUE Major performance was impressive (they went undefeated during the first two stages of the event) and it was rather unlucky for them to encounter Cloud9 in the Quarterfinals. Renegades is not a bad team either, but they recently lost an important player (NAF) and have played significantly worse than G2 Esports over the last two months. Which is why Bovada puts the odds at -400/+250 or around 1.25 – 3.50 in the French team’s favor. The returns here are the same as in the Cloud9 vs Heroic match and the risk is only slightly higher. Keep in mind that the matches are played in a Bo3 format, so it is extremely unlikely for a top 6 team that’s on an upward trend to lose 2 games against an opponent that’s not even in the top 20. Given mousesports’ exceptional form and VP’s complete lack of it, this match will likely be totally one-sided. Virtus.pro is not even a top 30 team anymore (while their opponent is in the top 5), and their latest move was to replace Taz with MICHU. However, this change is unlikely to be effective against a world class adversary like mousesports. Bovada puts the odds at -275/+180 or around 1.36 – 2.80 in favor of the German team, which is amazing given that this is another match with an almost predetermined result. On paper, Na’Vi, the semifinalist from the ELEAGUE Major, is lightyears ahead of HellRaisers right now. However, whenever they play against them I get the feeling that anything can happen. The last two direct matches between these two teams resulted in one close win for HellRaisers (1 – 0 and a map score of 16 – 14) and one decisive win for Na’Vi (1 – 0 and a map score of 16 – 6). Given that this match is a Bo3, Na’Vi is the clear favorite to take the victory. Bovada puts the odds at -135/-105 or around 1.74 – 1.95 in Natus Vincere’s favor. This will be a total bloodfest. Not much to say here except that SK Gaming will almost certainly take this match without dropping a single map. They’re a top 3 team at the moment while their opponents are not even in the top 30. Bovada puts the odds at -1400/+600 or around 1.07 – 7.00 in the Brazilian team’s favor. Next Post Will the popularity of Dota 2 rise again?